Eurofrits participation at Conxemar International Fair, celebrated in Vigo (Pontevedra) last week, has been a complete success. 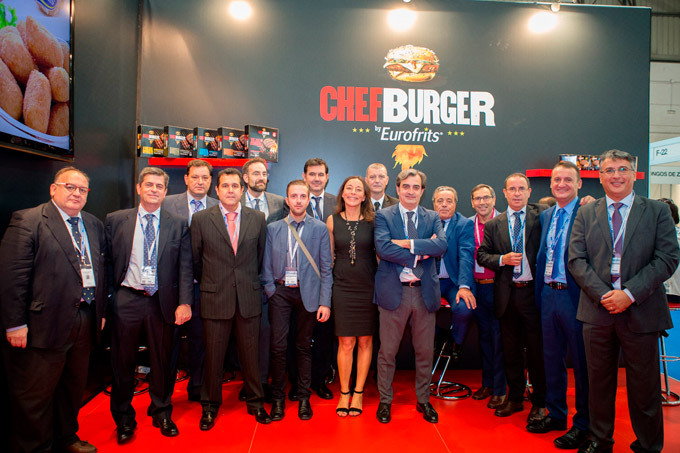 Our stand, themed as a traditional American burger diner, (food truck included) was visited by clients, businessmen and curious attendees, all lured by our novelties and our premium hamburger range ChefBurger, the undoubted main attraction of our stand. You may see the in images what the event involved. Throughout the three days that the event lasted, many visitors showed interest in our vast product catalogue. 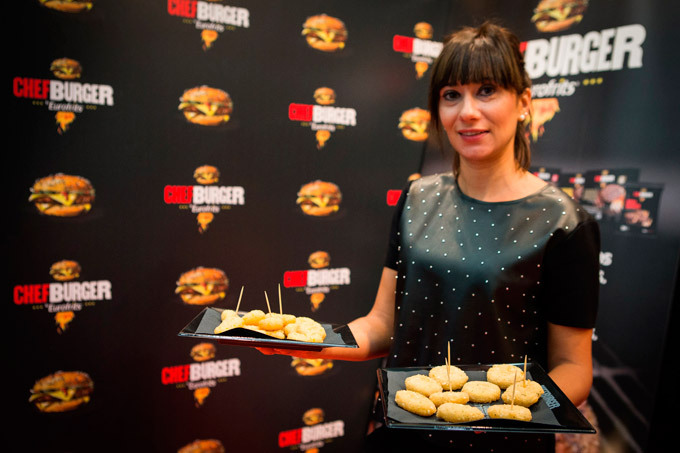 We held meetings with them in which we informed about all our specialties: Potato, Beef, Poultry, Fish, Sea Specialties, Croquettes, Typical Tapas or ChefBurger. 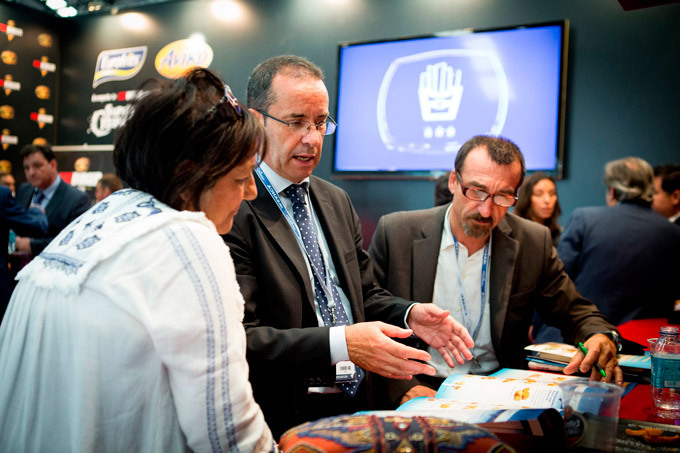 During the event we held several meetings with people interested in our products. In this edition we took the opportunity to showcase our new products. 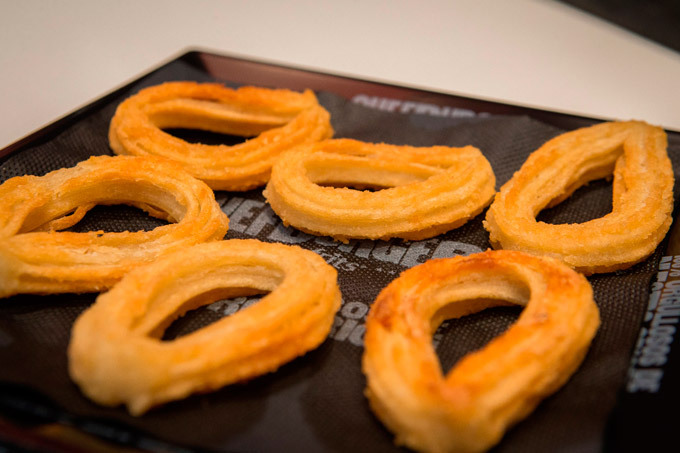 Visitors had the chance to acquaint and delight themselves with an original churro for oven, with a more crunchy texture and less greasy while keeping the same flavour of this traditional breakfast. New Churro for oven by Eurofrits. 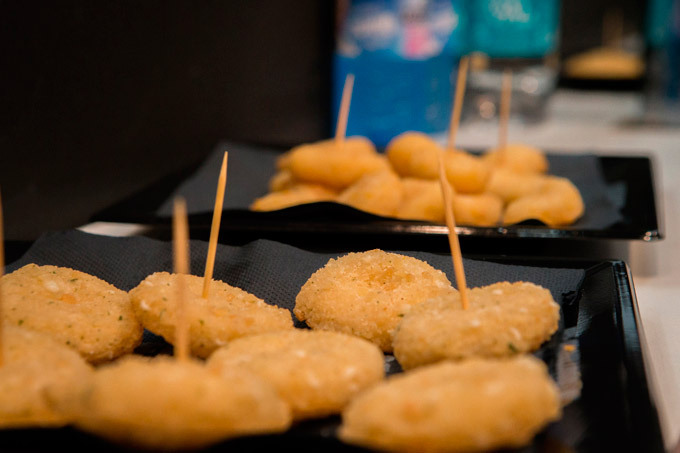 We carried out a test during the fair to sound out the acceptance of two new cheese snacks: a Camembert snack prepared with a light Camembert cheese and thin breadcrumbs, and Emmental Snack, made from Emmental cheese and crusty breadcrumbs. They both turned out to be a huge success among visitors, receiving praise for their flavour and texture. New Cheese Snacks by Eurofrits. Camembert snack and Emmental Snack sample. We also introduced our top of the range chips: Super Crunch, twice as crunchy and with a longer-lasting taste; the Super Long and the Sweet Potatoes, with a surprising flavour that caused enthusiasm among visitors at our stand. Preparation of our ChefBurger hamburger. For three intense days at the event the entire Eurofrits team was completely dedicated to spreading the details of our products. It took the commitment of a combined team of sales representatives, the Exports department, R&D&I, and purchasing, spending a few days in one of the most relevant events in the sector. We wouldn´t want to miss this opportunity to thank all the fair attendants visiting our stand and the trust they put in our brand. Thank you!